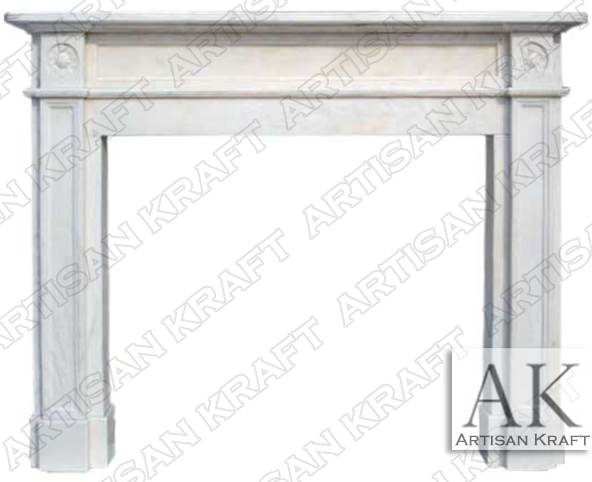 Maple leaves are the focus of this English style white marble fireplace mantel. The English Regent 2 is on sale and priced cheaply to sell quickly. Fine carvings in the white marble. A great option for those looking for a traditional English marble fireplace. We have this same model carved from Italian Arabesco marble. The Italian marble is much more expensive but worth the money. White marble surround facings are still the most trending. To shop for limestone mantel facing click here.